Earlier today the California State Athletic Commission ruled the UFC 214 title contest between Daniel Cormier and Jon Jones, a no-contest. Jones ultimately won the fight and the light heavyweight title via knockout. Weeks later tests showed that Jones had taken an illegal substance. Yesterday, a second sample also showed a positive result. This prompted the CSAS to meet today and making the ruling change. There was no word from the UFC about the title picture however because Jones had not yet been suspended. Hours later, UFC officials announced that Jones would be stripped of the title and Cormier reinstated. This did not sit entirely well with Cormier because he felt fans would not accept the decision. 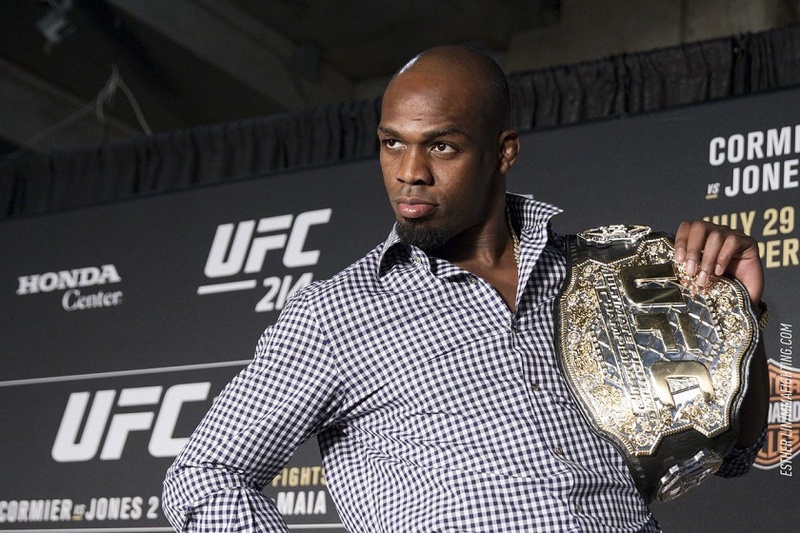 This marks the second time that Jones was stripped of the official title. He was also stripped of the interim title, marking it three times a UFC belt was taken from him due as a result of his actions. “UFC was informed Wednesday that the result of the UFC 214 bout between Jon Jones and Daniel Cormier on July 29 was overturned by the California State Athletic Commission. The ruling changes the Jones ‘win’ to a ‘no contest’ following a potential Anti-Doping Policy violation stemming from an in-competition sample collected after Jones’ weigh-in on July 28, 2017.